Right now, Amazon has a big selection of Decorative Pillow Covers on sale for as low as $3 each! These are great if you are redecorating a room or just want to add a little color or even a new theme! 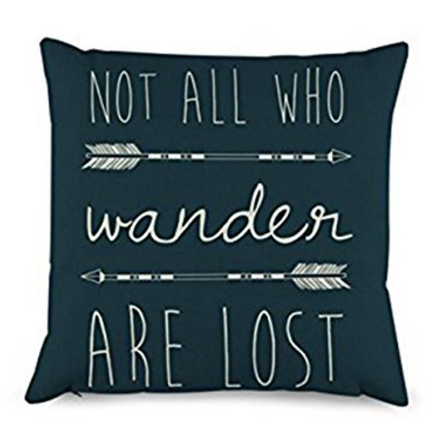 I love this Not All Who Wonder Are Lost Pillow Cover on sale for just $4.59. Head over HERE to check out all of the designs.